We’ve all heard the expression ‘you are what you eat,’ but how often do we stop and consider what it is we put in our bodies when consuming packaged goods? With a little effort, we can become educated about what is in the foods we eat. By simply reading food labels, that are on every packaged food item we purchase, one can glean valuable information that will contribute to a healthier lifestyle. While you may have never looked closely at food labels, they are fairly simple to understand. Armed with this knowledge, you can make healthier choices and adjustments to your diet to live a longer, healthier lifestyle. As you walk through the grocery store aisle, you’ll find all sorts of claims – fat-free, low sodium, light, nutritious. Not all of these buzzwords mean exactly what they say. 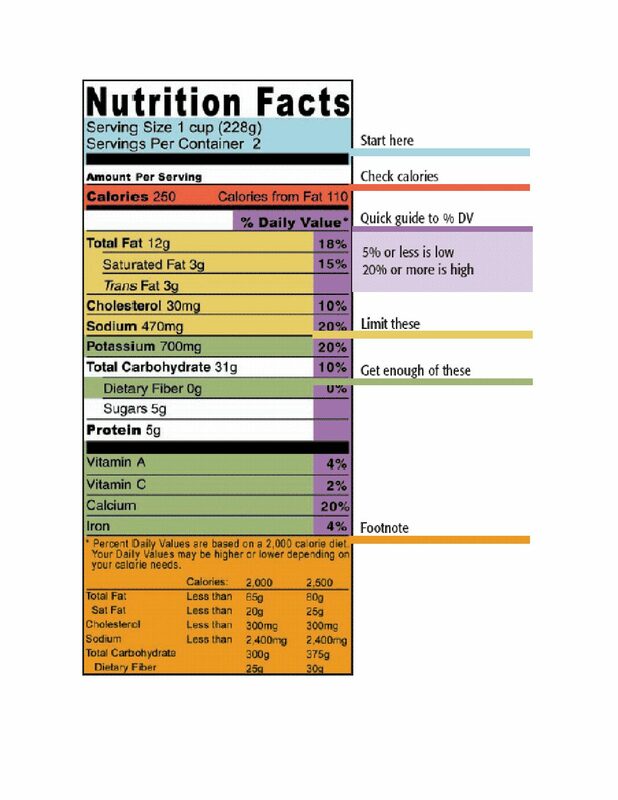 Let the nutrition facts on the label be your guide to good eating. Here are 3 tips to consider when looking at labels when you shop. Examine the serving size. If you are going to eat two servings, then consider that you will consume twice the calories listed per serving on the label. Similarly, you will also take in twice the nutrients listed. Factor all this in when calculating your daily intake. Many foods have added sugars that provide a hefty dose of calories, but few essential nutrients. Seek out foods and beverages low in added sugar. A good guideline is to look for products in which added sugars are not one of the top listed ingredients. Look for foods low in saturated and trans fats and cholesterol. This will help reduce the risk of heart disease. Most of the fats you eat should be polyunsaturated and monounsaturated, such as those in fish, nuts, and vegetables. Research shows consuming less than 2,300 milligrams of sodium (about 1 teaspoon of salt) per day may reduce the risk of high blood pressure. Older adults tend to be salt sensitive. Aim to cap your salt intake at 1,500 milligrams of sodium per day. In the photo above is a sample food label listing fats, cholesterol, and sodium. Start doing a little extra reading when you shop and take the first steps to a healthier, longer life.